The Antler Hill Panel Bed, a stunning focus of any bedroom, is spacious yet cozy with its rounded foot board. 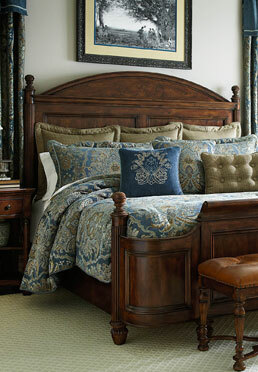 A beautiful curved crown above the head board features elegant scroll work. Inspired by the Vanderbilt's gracious hospitality and comfortable living.